As a skip tracer in training, Joslyn Dimalanta knows she has the skills to track down her missing friend. As long as her friend's startlingly handsome brother, Clay Ashton, doesn't distract her. But then his sister's house detonates-almost killing Clay and Joslyn. 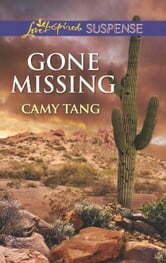 Now they realize the harsh reality: they must either find the person after Clay's sister, or face deadly consequences. And the closer they get to exposing the source of the crimes, the more explosive surprises they discover. With every obstacle they overcome, Joslyn finds herself relying on Clay more and more. Still, the peril they face scares her less than the idea of trusting Clay with her wounded heart.